Today, we are launching our new film shining the light on three of the thousands of inspirational local young people who have benefitted directly through our support. The film focusses on the challenges Annabelle, Marylou and Vinny faced including mental health issues, dyslexia and drug addiction and how they overcame these barriers through our programmes and team’s support. 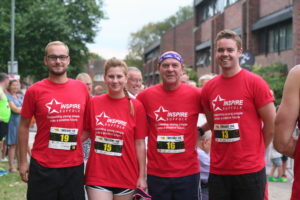 We are an independently funded charity supporting hundreds of local young people across Suffolk and North Essex each year through our personal development programmes and motivational education courses to improve confidence, aspirations and build key skills for work and life. Thank you to our friends at Bruizer who have done an amazing job telling the stories of our charity once again – watch our last case study film here. 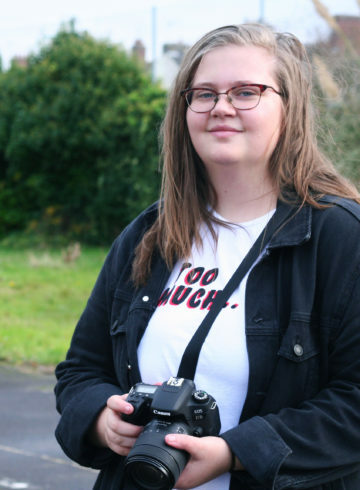 Annabelle from Lowestoft features in the film and discusses her struggles with anxiety and panic attacks and how this made her isolate herself. She took part in our Prince’s Trust Team programme in 2017 to break away from her current situation. She really surprised herself by enjoying tasks like speaking to members of the public to raise funds for their community project and even dressed up as a tin of Spam to fundraise in Lowestoft town centre, which she would never have done before the programme! 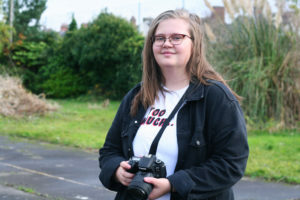 She wanted to pursue her interest in photography and film and found a Film course at a small college in Norwich, where she secured a space. Prior to us, she attended college for one day when her anxiety kicked in and got the better of her due to the large and busy environment. She is now in her second year at college and has started to look at Universities to pursue her interest in Film Studies. 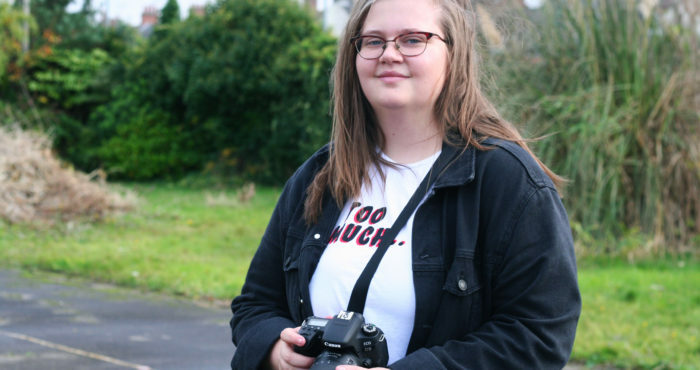 Annabelle has held on to the confidence she developed with Inspire Suffolk and has continued to push and challenge herself to achieve bigger and better things and we are so proud. Before she met us, Marylou from Sudbury was a stay at home mum to her 6-year-old son who both feature in the film. 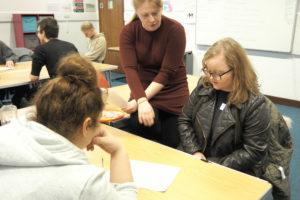 She was focussing on job searching at the Job Centre however, her depression was getting the better of her and her confidence was at a real low point. Another issue which she faced was having severe dyslexia, which stopped her from getting qualifications at school. At first, Marylou was nervous but her confidence in herself and within her team really grew. Her work experience placement was the highlight of her time. She spent two weeks volunteering at an Oxfam charity shop, working on the tills, cash handling, and sorting stock. She enjoyed this so much, she continued to volunteer at the shop once she had completed the course whilst she was job searching. Since then, Marylou has secured a job at her local McColls convenience store and is really enjoying working there and having some structure. She has proved herself to be hardworking and willing so often gets offered additional hours too. She is also now focussing on herself and gaining her qualifications which she didn’t gain at school. She has completed her Level 1 Maths qualification this September and is now focussing on her Level 2. She has her sights set on achieving her English qualifications too, to help her move up the career ladder and support her son. Before Vinny met us, he was experiencing some very dark times and had turned to taking drugs. During this time, he also found out his mum had been diagnosed with terminal cancer. Vinny will now openly admit he had lost all hope in life and didn’t care for anyone or anything. After some persuasion from our Team Leader Stacey, Vinny joined their Prince’s Trust Team programme in Lowestoft. He surpassed all expectations and became a valued member of the team. Through all the programme Vinny became extremely reliable and punctual and his confidence excelled. He took a lead role during residential and the rest of the programme and helped others overcome their individual fears. Through the team’s community project at the at the Excelsior Trust, Vinny undertook a lead role within the team and gained himself voluntary work on their boat. He is now employed at the Excelsior, sailing all over the world delivering courses to young people from all different backgrounds and nationalities working to develop their skills and confidence just like he did himself. Vinny features in the film on one of the boats he often works on and discusses the challenging problems he has experienced and conquered. 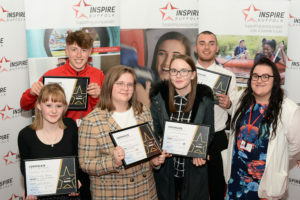 Our Team Leaders, Tutors and youth workers deliver a number of programmes across Suffolk to build confidence, skills and encourage positive and sustainable next steps for local young people. One of their most successful programmes is the Prince’s Trust Team programme working with 16-25-year olds who are not currently in education or employment and need vital support with a new set of programmes beginning next week on w/c 21st January. Enquire about: New year, new film!